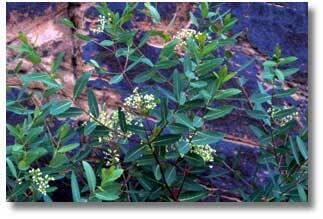 The common name, Dogbane, refers to the plant's toxic nature, which has been described as "poisonous to dogs." Apocynum means "Away, dog!" and cannabinum means "like hemp," in reference to the strong cordage that was made by weaving together the stem's long fibers. 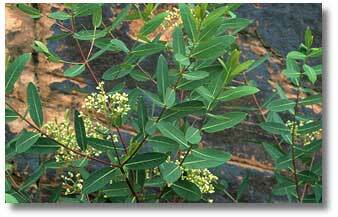 Dogbane is also called Indian hemp, amyroot, bitter-root, rheumatism weed, wild cotton and General Marion's Weed, in honor of General Francis Marion, an American Revolutionary commander known as the "Swamp Fox" for his tactics for harassing British troops, then retreating into the Carolina swamps and forests. Perennials. Thin reddish stems arise in spindly clusters to three feet tall. When cut or broken, the stems ooze a milky latex, similar to plants in the Milkweed Family (Asclepiadaceae). Leaves arise either opposite or in a whorled pattern, meaning three or more leaves arise from the same node. Leaves are variably sized and are lance- or egg-shaped with entire margins (meaning the leaf's edges are smooth, not notched or toothed). The leaves are smooth above and have downy white hairs on the undersides. Leaves lowest on the branches may not have stems. Tiny white flowers, one quarter inch across, are borne in clusters at the top or along short, side stems. Sepals are larger than the petals. The flowers are cup-shaped. Fruits are paired long, thin pods that hang downwards. Seeds have white hairs attached to them. Dogbane prefers moist sites in riparian areas, along ditches or agricultural fields. 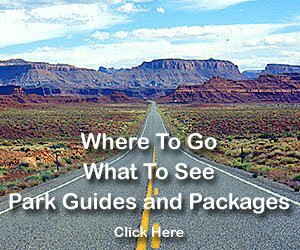 Widespread in temperate areas from New England to Florida, parts of the southeast, Texas to California and north to British Columbia. Late spring through summer. Many small insect pollinators, such as wasps and flies, pollinate the flowers. Cymarin, a chemical found in the plant's roots, was used a cardiac stimulant, and was listed until 1952 in the medicinal text United States Pharmacopoeia. The milky sap contains toxic glycosides (a chemical compound derived from a simple sugar and is often of medicinal importance) that can cause skin to blister. The toxic sap deters herbivores from feeding on the plant. This plant is also known as "Indian hemp," after its use as cordage. Before domestic cotton was introduced and cultivated in the Southwest, around 700 A.D., leaf and stem fibers, along with human hair or hair or wool from dogs or wild animals, bird feathers or animal skins, were used to create prehistoric cordage. 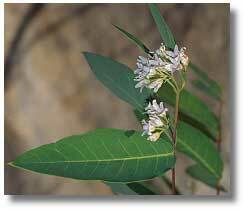 Fibers of the dogbane plant were rolled together to make a thread stronger than cotton. Three strands plaited together made a bowstring. At other times, strands were woven together to create rabbit nets, used in communal hunts. The entire plant, steeped in water, was used medicinally to treat intestinal worms, fever, asthma, dysentery, fever and indigestion. The 1619 records of the Virginia House of Burgesses show that settlers knew of the plant and its uses. Back then, the plant was known as Indian hemp, probably because the local tribes showed the early colonists how to use the plant to make cordage.